THOUSANDS BELOW BOOK!!! LIKE NEW!! FACTORY WARRANTY & LIFETIME PROTECTION! WOW!!!!! 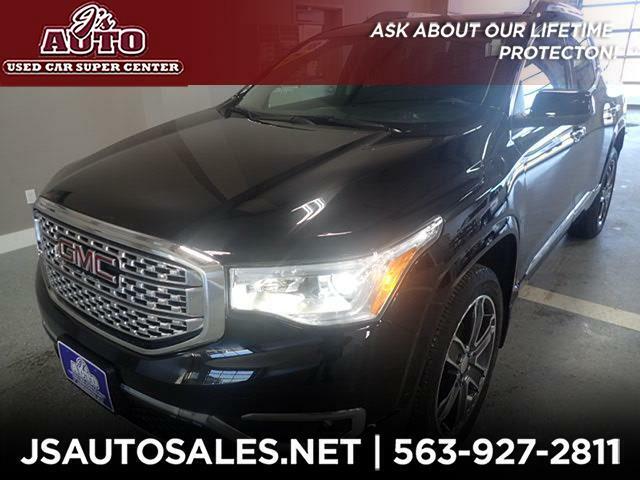 Don;t miss out on our SUPER SHARP & LIKE NEW, 2018 GMC Acadia Denali 4x4. Only 13,312 miles, NEWER TIRES--A VALUE ALL ON THEIR OWN!, plus TONS of great options, like remote start, back-up camera, heated AND cooled leather seats, navigation, too many options to list!!! Also INCLUDES the added value and security of our limited LIFETIME protection plan, when you regularly service with us. AN INCREDIBLE VALUE ON A GORGEOUS RIDE! Call or email our trusted, locally owned & operated dealership, here at J's Auto TODAY!